Let’s talk about Pinterest SEO. That’s right – while Pinterest boards and profiles can get ranked by Google, we’re talking about on-Pinterest searches. 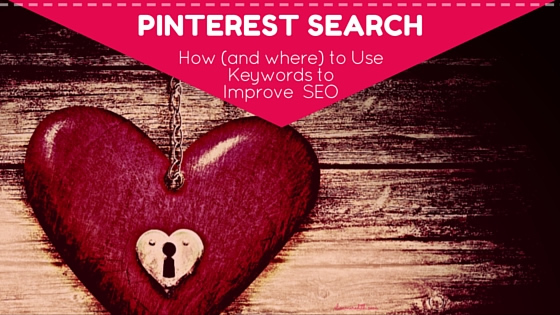 Want to be found in a keyword search on Pinterest? Of course you do! That’s how people who don’t yet follow you find your content! The number of searches users perform is rising steadily and we all know that pinners visit websites, join mailing lists, repin to visit later, and spend money on things they discover on Pinterest! 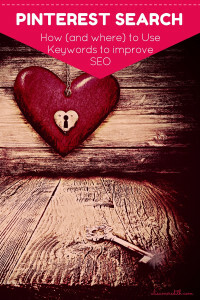 While there are many elements that influence your search ranking on Pinterest, perhaps the simplest to work with is keywords. Keywords do matter on Pinterest. 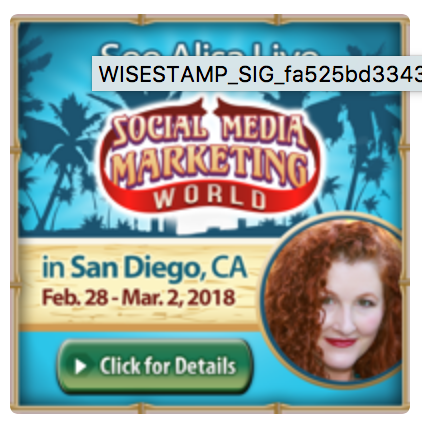 Full disclosure – I did go in to this thinking there would be an even stronger correlation between results/rankings and keywords than I actually found. Looking at the top 10 or so pins for a search and the content they link to turned up a curious mix of partial matches, related terms and one very mysterious promoted pin. Not one single top 10 result had the exact key word string everywhere it should matter. I’m officially surprised! Pinterest is a search and discovery engine. It’s designed to help us find not just what we think we want, but also to find something new and wonderful. Search results clearly show a preference for answering “intent” versus a strict interpretation of the actual words we enter in search. Looking for “gifts for new moms”? You’ll probably see baby shower gifts, gifts for dads, recipes for meals you can bring to new moms. So, what you’re looking for, but also what you might not know you’re looking for. 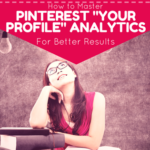 You’ll also get different results depending on when you search (Pinterest does not want to serve up the same old pins to you every time), who you follow, and what your interests are. 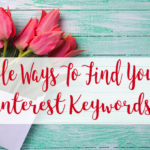 Still, keywords do matter, and because of all the factors that will improve your search ranking on Pinterest, that element is probably the most in your immediate control, you might as well put to work for you! Singular or Plural Keywords on Pinterest – Does it Matter? A search for “how to recover from a running injury” returned exactly the same results as “how to recover from running injuries.” But, a search for “travel with my dog” and “travel with my dogs” did bring up slightly different results. Interestingly, two searches minutes apart for “travel with my dog” also brought up slightly different results (one of the factors in ranking is current engagement, apparently it changes fast). So, does it matter? It doesn’t seem to, especially when my first result on “dogs” brought up a pin with only the singular “dog” and my first result for “dog” included both singular and plural in the description. So, if both apply to your content, use both and don’t sweat it. 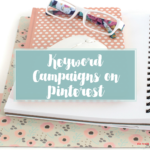 There is evidence that using keywords in all these places, both on and off Pinterest will help your rankings. I can only tell you for sure that it won’t hurt, and it will most likely help! No-brainer, right? Well, not so much. If your brand name does not include your keywords, you’ll need to get creative. For instance, if your business is called “Lucky Stars” and you sell wall decals and decor, that profile name is not going to do anything for you on Pinterest. So, go with something like, “Unique Wall Stickers – Lucky Stars.” Think about what people would search for and be delighted in if your pins popped up. Your description should tell people at-a-glance what you’re pinning and how they’ll benefit by following you. It also tells Pinterest what you’re about. If you are a local business, make sure to mention the city/state or area you are located in or that you serve. If you have an established account, think carefully before changing this. The last thing you want is to lose any Google love you might have acquired by causing search results to either load a “Whoops! We didn’t find that page.” But, if you’re just starting, see if you can work in a keyword or two – if you can do it in 15 characters or less! Cute titles that are for your own amusement (“things that make me happy”) are fun and have their place, but they are not going to help you in search. Go for clarity over cleverness, and work in clever as a bonus to make you stand out from the crowd. But keep in mind that your long board name is going to get truncated in search results, so put the relevant words in the beginning. Also, when you set up boards, make sure you choose a category (not “other”). This helps Pinterest return your pins in relevant searches, too. As with the descripton on articles that appear in Google results, pin descriptions help searchers know that you have what they’re looking for. 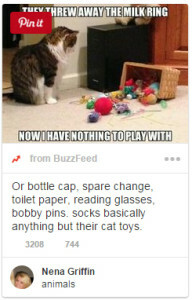 If you want to be found and clicked for “best cat toys” use those words in your description. Using an exact match does not seem to make a difference, so make it sound natural. While you’ll see fewer than 80 characters when searching on mobile, you can enter many more. Still, there is speculation that Pinterest uses a bit of “keyword density” in their search algo, so it’s best to avoid words that don’t serve the purpose of enticing the reader to take action. OK, OK, technically, Pinterest might not actually be reading this. BUT, pinners are. Artfully done text on a pin can tell people instantly if they’ve found what they’re looking for meaning more pins, more repins, more likes = more Pinterest search love. 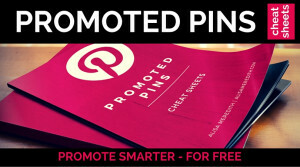 Besides you want to do well on Pinterest search because you want people to act on your pin, so make it easy. Google uses image file names as a signal of the subject matter on your site, and so does Pinterest. For the sake of your ranking on both, use good, descriptive file names for your images. Think, “orange-lampshade-modern.jpg” instead of “image2341x.jpg.” Oh, and use hyphens to separate words – underscores are ignored. Simple. What do people see when they click on your pin to visit your website? Does your “10 ways to help your kids adjust to kindergarten” pin description lure someone to click on your “8 ways to clean a closet” blog post? Sounds silly, but you get the idea. If Pinterest is important to your business, keep the content consistent in substance AND in keywords. Pinterest notices. Does the name of your pin’s destination page contain the keywords you used in your pin? It should! 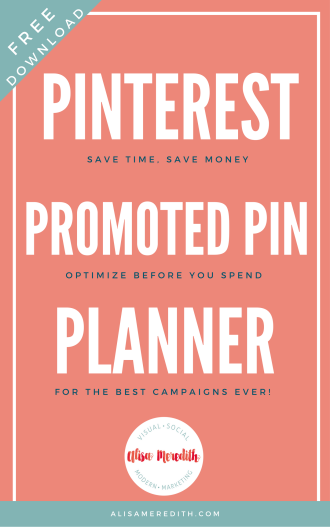 In fact, if Pinterest is an important channel for you, you can use it to help plan your content and the keywords you’ll use in your next blog post or downloadable offer! Notice the part in bold – that’s pulled from the website and cannot be changed by a pinner. 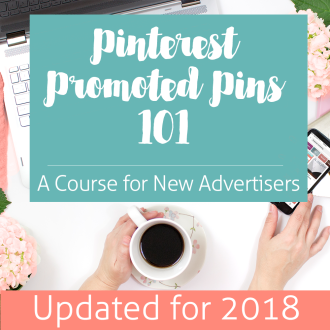 Bonus: If you use rich pins, the title and description you use on your blog post will be pulled into your pin and is searchable. 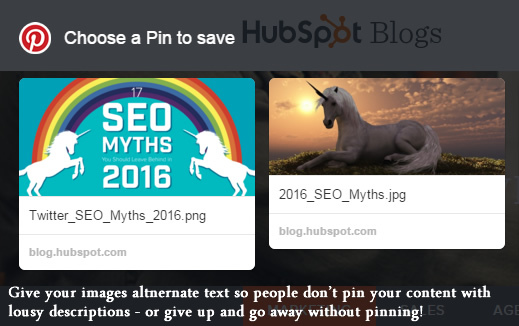 That means, even if someone pins your content or repins your pin, they can only change the description – not the information pulled in from rich pins! So, if someone replaces your carefully thought out description with “love this!” that’s OK – your original description is still there! Rich pins do tend to rank higher. 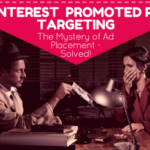 Whether that is because of the built-in keyword rich descriptions and info or because Pinterest rewards those who use all its features is unclear. Over to you. 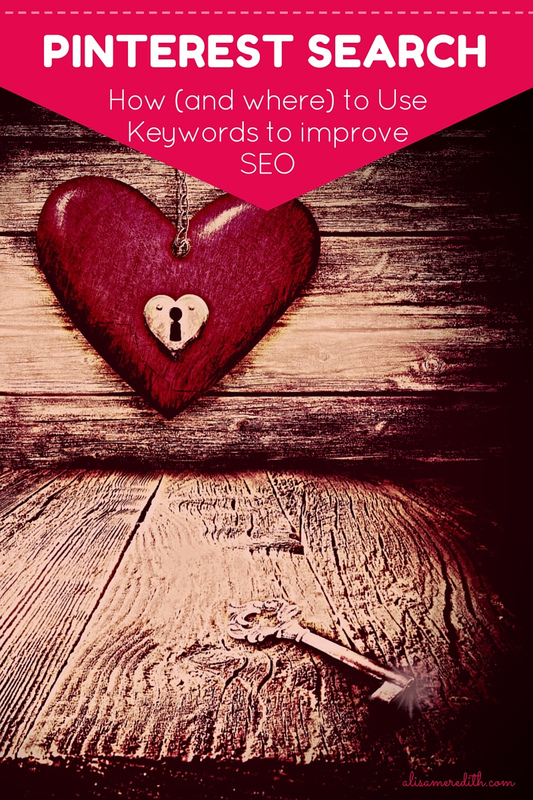 Have you noticed a strong correlation between keyword usage in any of these elements and search performance? 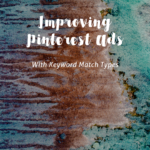 Want to learn more about Pinterest Search? 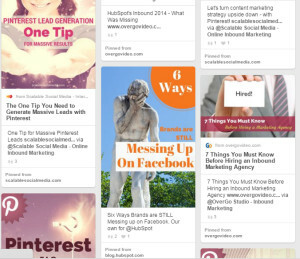 Check out some of these great articles I collected on Pinterest. 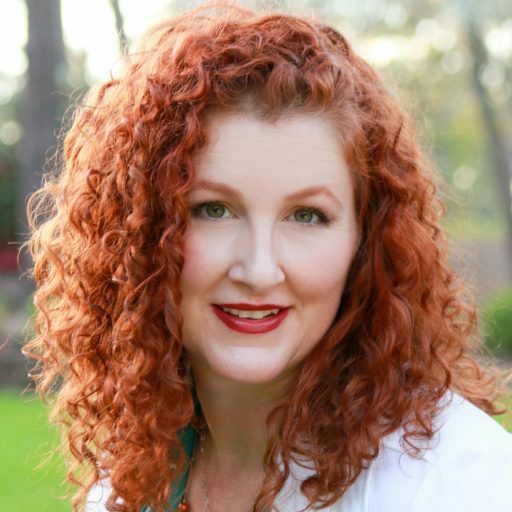 Follow Alisa Meredith | Inbound Pinterest Marketing’s board Pinterest Search Tips Smartfeed on Pinterest.